St. Pachomius is a oriental orthodox saint. He was a desert father. 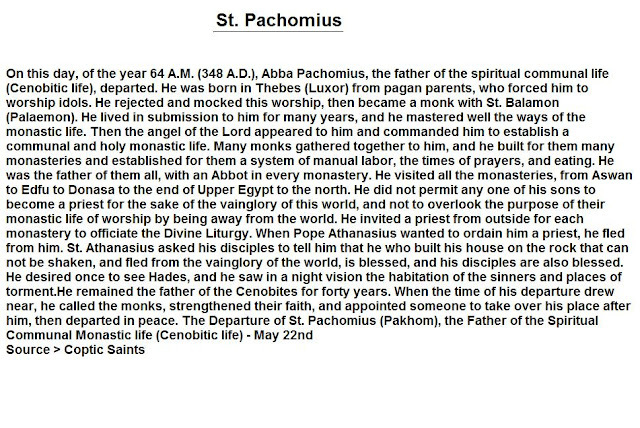 He was the founder of Monastic movements.